Going by the Chetwode motto as stated at Indian Military Academy Dehradun; the nation comes first always and every time and finally Blackberry has toed the govt line by offering to share its technical codes for corporate email services, open up access to all consumer emails and this is going to be a reality in forthcoming 15 days. Moreover it is also in the process of developing tools to allow monitoring of chats. International Mobile Equipment Identity (IMEI) of any Blackberry device which the security agencies may want to track. 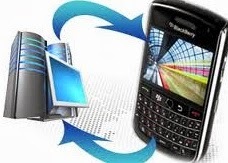 Can track e-mail attachments on a real-time basis and enabling them to know whether the messages exchanged on the popular BlackBerry chat, BlackBerry Messenger (BBM) had been ‘delivered’ and ‘read’. It is a correct step taken by Blackberry as with the rise of terrorism it makes sense to share the data with nation security agencies. People might say that such an action on part of the govt is not correct but for that India has still to go a long way as we have people from varying caste, creed, religion and have different aspirations and thus difference of opinion will be always be prevalent in a vast country like ours.